It is definitely true to say that both metal spinning and deep drawing are among our core areas of expertise. But the combination of the two skills is rarely found and can be of particular benefit. The increase in production speed reduces the costs, giving our customers even better value for money, and it is also possible to achieve a much greater vertical range of in-house manufacture. It is important to note that you can expect aha! 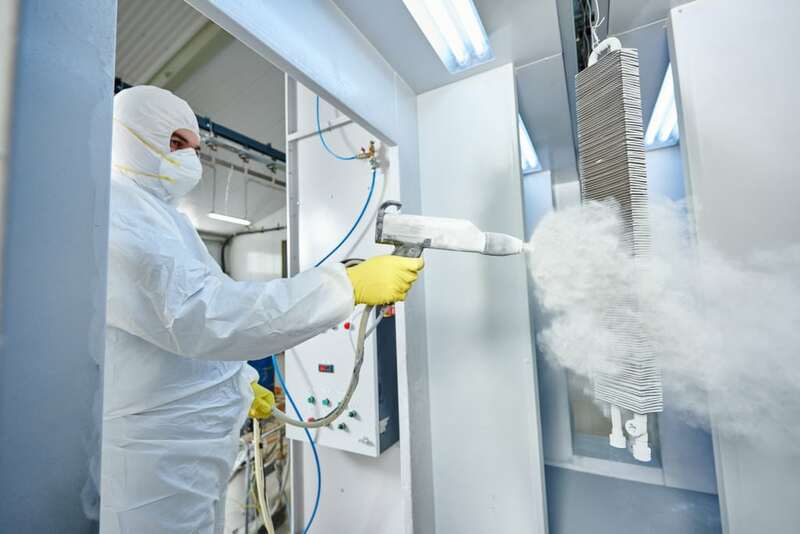 to come up with the optimum solution to any manufacturing problem and you can order your products completely finished and ready to use – all from one source, providing the benefit of a one-stop shop with just one point of contact from planning and design right through to just-in-time delivery. 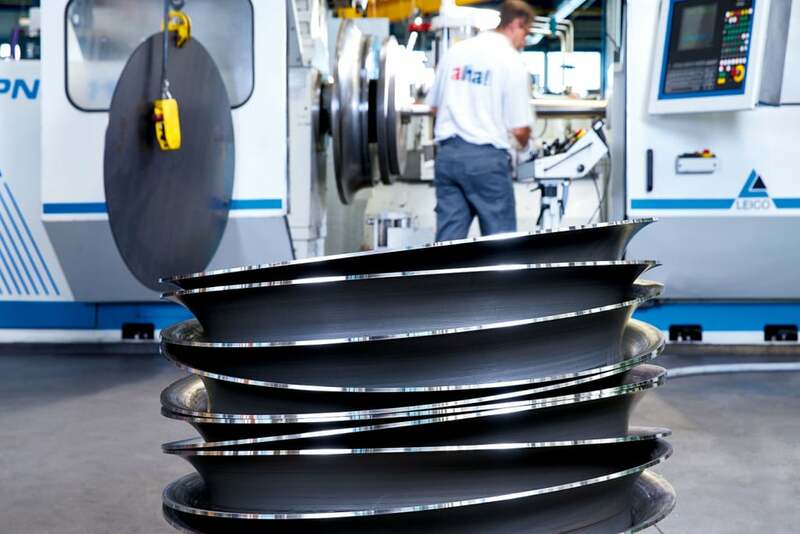 Discs from 20 mm to 1800 mm. Let your creativity turn full circle on product development. aha! spins discs ranging in size from 20 mm to 1800 mm. From different materials and in many thicknesses. 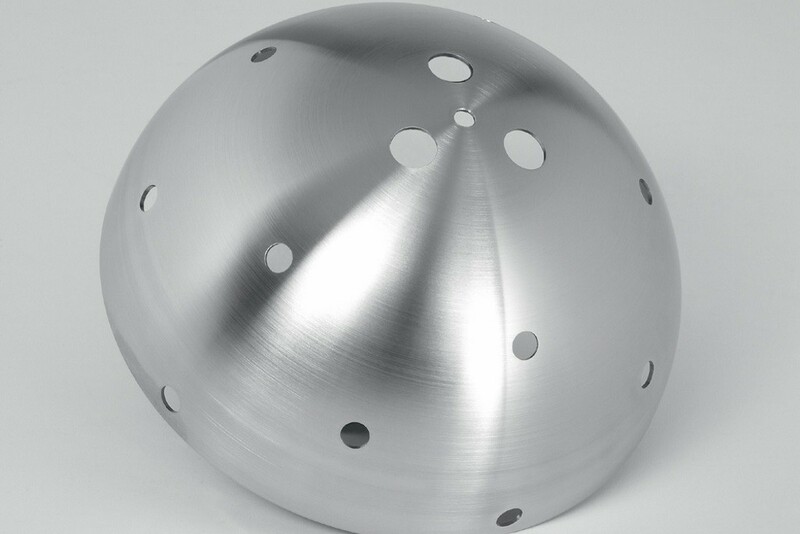 Sheet metal forming with a deep drawing force of up to 2500 KN. We make products of all kinds in our deep drawing factory, such as pots and filter baskets. We have the facility for sizes of up to 1000 mm in length and widths of up to 700 mm. Metals of all kinds at cutting pressures of up to 2500 KN (= approx. 250 t). 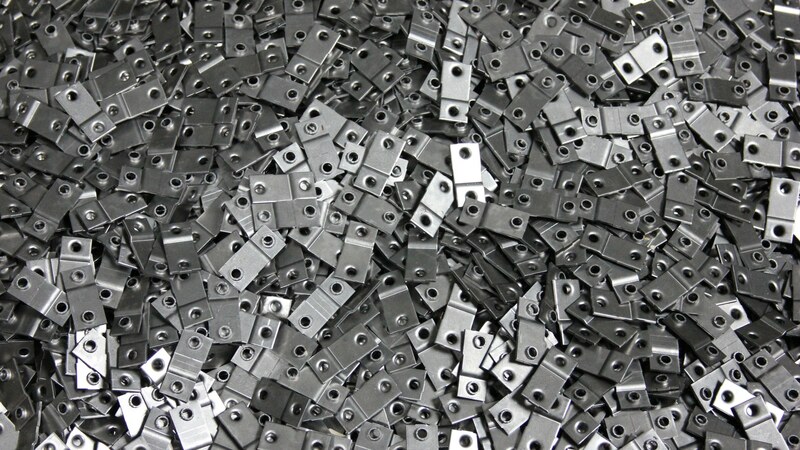 Metal parts of all kinds can be precision-cut and embossed at aha! on state-of-the-art eccentric presses. Professional engineering with state-of-the-art equipment. aha! 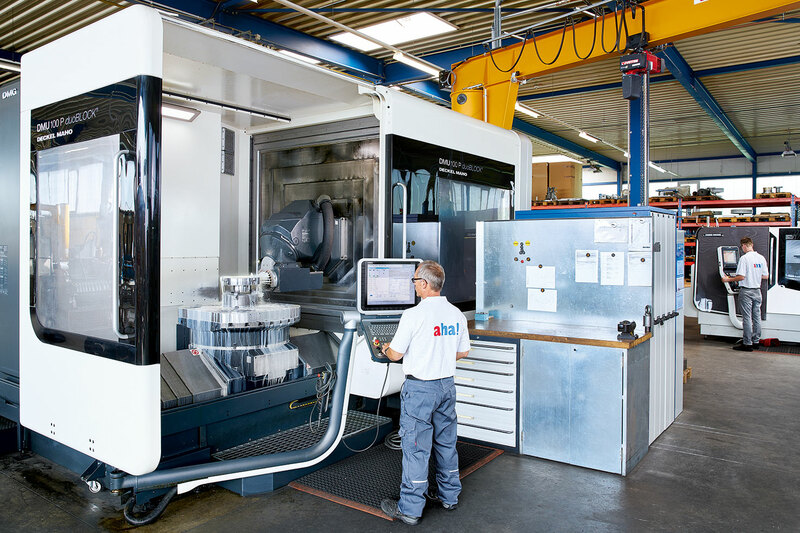 makes all its own tools for production using state-of-the-art machining centres. With industrial robots or by hand. 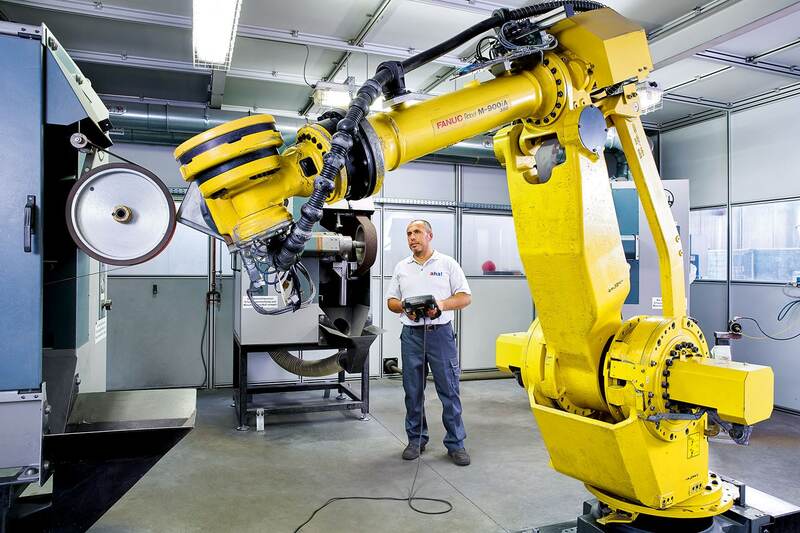 We grind and polish small and large metal parts of all kinds in robot-assisted or manual processes. From turning and milling to welding and bonding. Every conceivable option is available for the further processing of the spun and drawn parts which we have manufactured. Professional partners for specialist services. 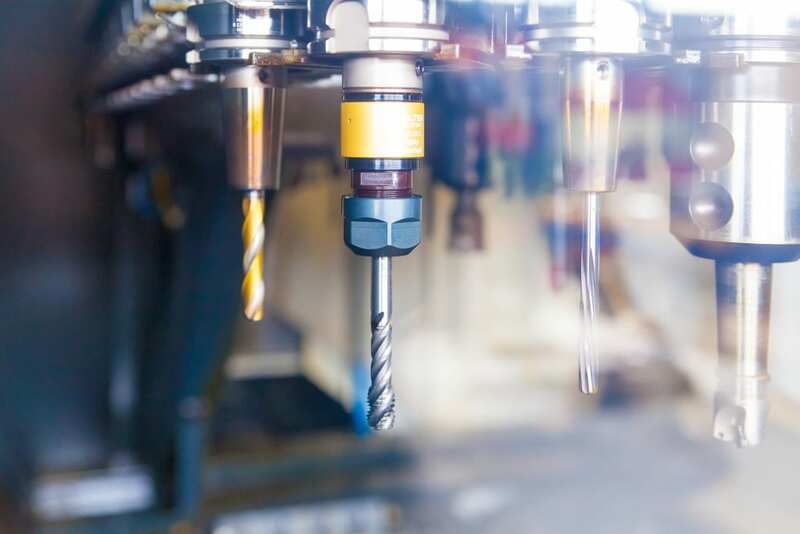 We have expert partners with whom we cooperate and on whom we can rely for all jobs not included in our range of machining and processing services.